If you like easy, fast recipes like myself... here ya go. Just save and print on cardstock. They are in 4x6 format. This week I cooked chicken in the crockpot and got 2 dinners out of it. These recipes are winners in our home. The kids wanted seconds on both. I'm pretty sure this comes from the kitchen of Sheryl Quillin. Probably not in the healthy category, but yummy and the kids loved it. 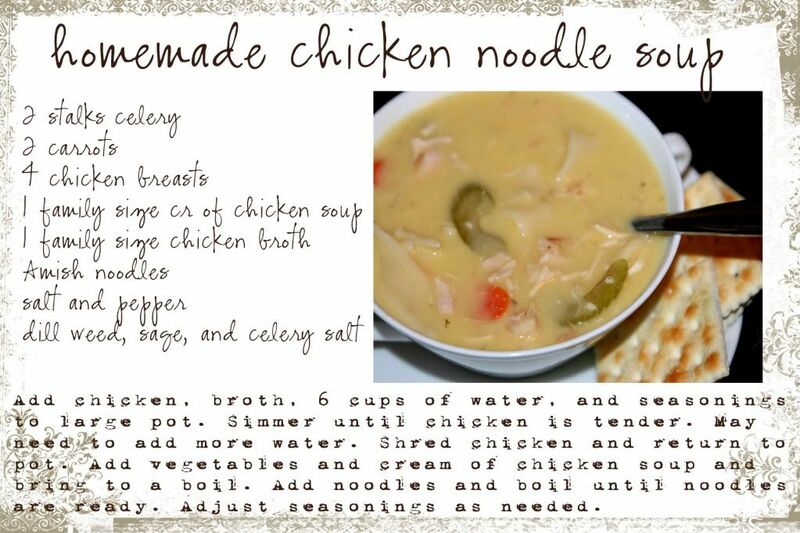 I slightly modified this recipe due to the fact that I cooked the chicken ahead of time. I added the chicken later and it was still delish! 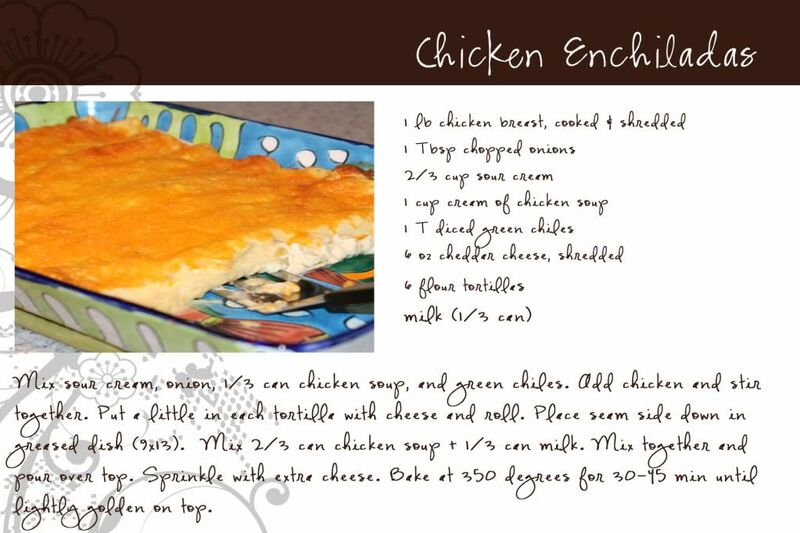 This recipe comes from the kitchen of my sister, Tonya Shuley. If you have easy, kid friendly recipes and want to share please send them my way.